September 27, 2018—Major national hospital associations this week protested the federal government’s plan to continue a nearly 30 percent reduction in Medicare drug reimbursement to 340B hospitals in 2019 and extend the payment cuts to certain outpatient departments that are currently exempt. In separate public comments sent to the Centers for Medicare & Medicaid Services (CMS), the hospital groups offered their perspective on the proposed calendar year 2019 Hospital Outpatient Prospective Payment System (OPPS) rules. 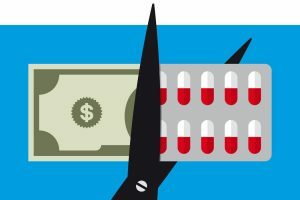 340B Health, the American Hospital Association (AHA), America’s Essential Hospitals, and the Association of American Medical Colleges (AAMC) said CMS’s 340B hospital payment cuts violate federal law, harm hospitals serving low-income patients, and do not reduce patient costs, Medicare spending, or skyrocketing drug prices. Instead, they added, the payment reductions significantly erode the 340B program’s value to hospitals, forcing some to pull back services or even consider leaving 340B. In 2018, CMS reduced Medicare Part B drug reimbursement for many 340B hospitals by $1.6 billion annually by reducing the payment rates from average sales price (ASP) + 6 percent to ASP – 22.5 percent. CMS has proposed continuing the payment cut next year and expanding it to off-campus hospital outpatient departments that were shielded from the reduction this year. CMS says the reduced reimbursement reflects 340B hospitals’ acquisition costs more closely and allows Medicare and its beneficiaries to pay less when hospitals furnish 340B-purchased drugs to those beneficiaries. The 2018 policy is the subject of a federal lawsuit filed by the AHA, AAMC, and America’s Essential Hospitals joined by three health systems in Maine, Michigan, North Carolina. Their original suit was dismissed on procedural grounds, but a new challenge was recently filed. The suit argues that the 2018 OPPS rule’s 340B provisions violate the Medicare and 340B statutes and should be set aside. Hospitals are also fighting on Capitol Hill to get the policy reversed. Bipartisan legislation (H.R. 4392) to nullify the 2018 cuts by Reps. David McKinley (R-W.Va.) and Mike Thompson (D-Calif.) has 200 co-sponsors. Another bill (H.R. 6071) by Rep. Doris Matsui (D-Calif.) would also nullify the cuts and require more transparency from drug manufacturers participating in the 340B program. In its comments, 340B Health said the cuts have already affected its member hospitals’ ability to care for low-income patients. In a recent survey 72 percent of 340B Health member hospitals said they have responded to the cuts by reducing clinical and other patient services and 61 percent said they have reduced staff. Hospitals also reported reducing uncompensated care levels, providing fewer free/discounted drugs for patients, providing fewer discounts on patient copayments, closing one or more clinics, or closing one or more outpatient pharmacies. In the Adirondack Mountains in New York state, “reduced reimbursement, coupled with increasing costs for Part B drugs, have prevented Clifton Springs Hospital in Clifton, New York, from filling pharmacy staff positions that would assist patients with medication reconciliation,” 340B Health added. “Punitively targeting 340B hospitals serving vulnerable communities does not address the basic driver increasing spending on drugs – the skyrocketing cost of pharmaceuticals,” the AHA said. CMS lacks legal authority for the original 2018 payment reduction and its proposed continuation next year, the AHA said, and lacks legal authority to expand the cuts to previously exempt off-campus outpatient departments.